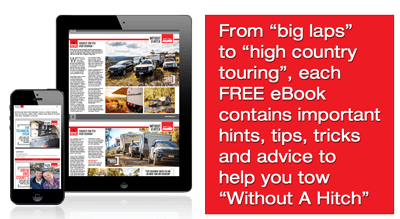 Available on Fiat cab-based motorhomes running AL-KO AMC chassis, X4 needs to be ordered during the build so take some notes from our testing. Heading down a bumpy road, X4 offers better shock absorption over small bumps like rumble strips and over small potholes. Over bigger bumps it works well too, just like your traditional coil spring suspension but interestingly, quieter. 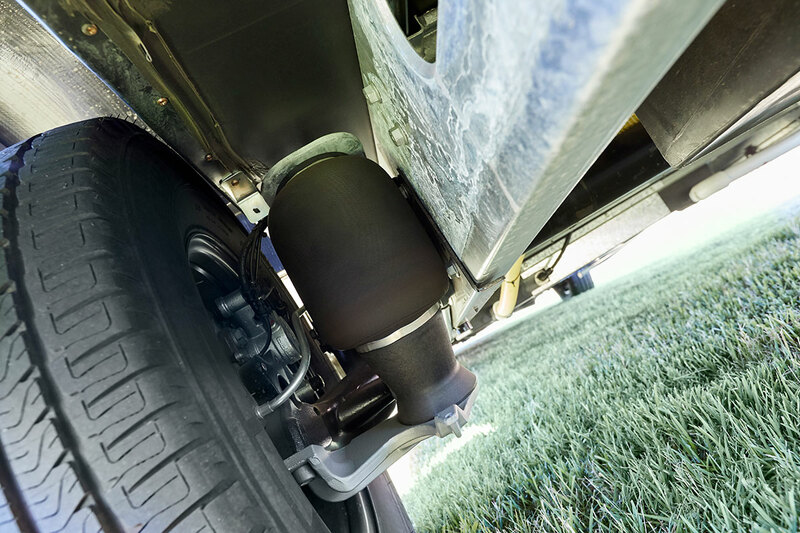 The rubber airbags reduce a lot of the noise you get from the suspension. 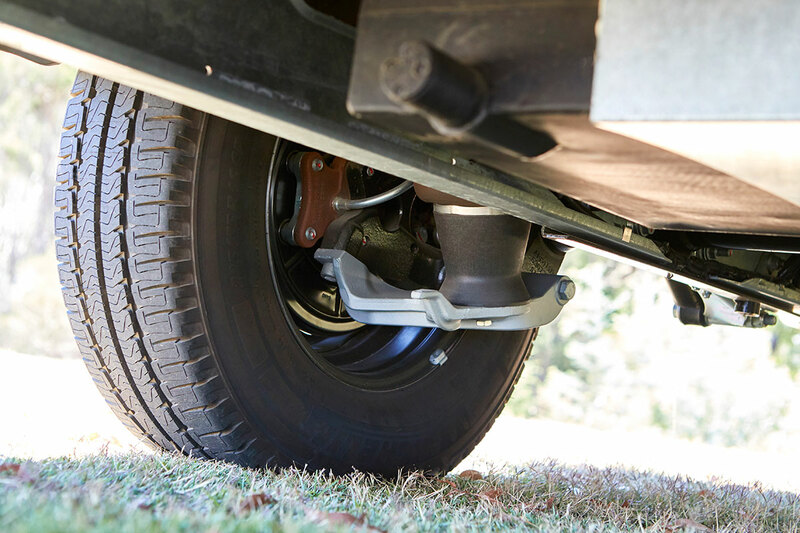 When you get to your holiday park, or see a tall obstacle, AL-KO Air Premium X4 Air Suspension can be inflated to raise ride height as much as 75mm in the front and 40mm in the rear, great for deep gutters. Being able to lower the chassis is also handy for the less mobile. The front can lower 65mm below normal ride height and the rear 50mm. This means the doors, both driving and entry to the body of the motorhome, sit much lower and are easier to access. 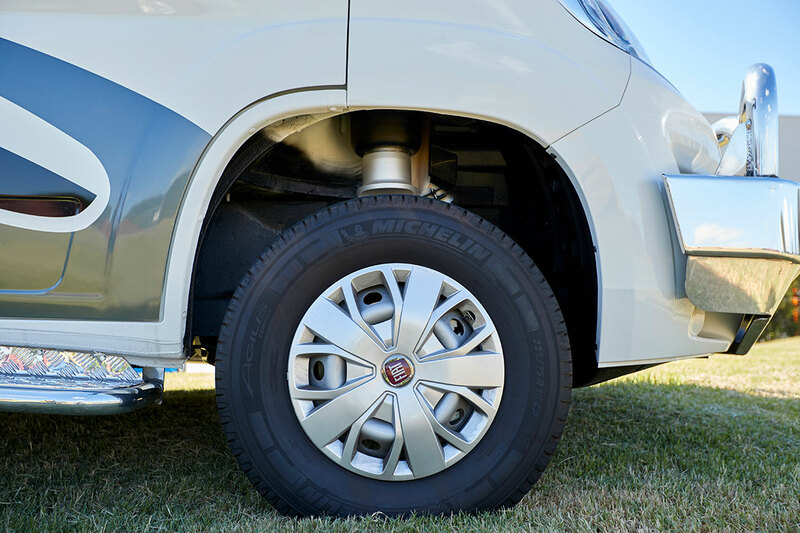 One of the best features of AL-KO Air Premium X4 Air Suspension is the self levelling option. At the push of a button, the airbags inflate (or deflate) to level the chassis front to rear and side to side. It takes a moment to adjust but once done we had the motorhome sitting perfectly on our grassy test-camp. Controlling the system is by wired remote that lives by the driver’s seat. Buttons are clearly labelled and backlit so reading them at night is easy. Minor adjustments to ride height can be made at up to 5km/h but we found it best to do it while parked. 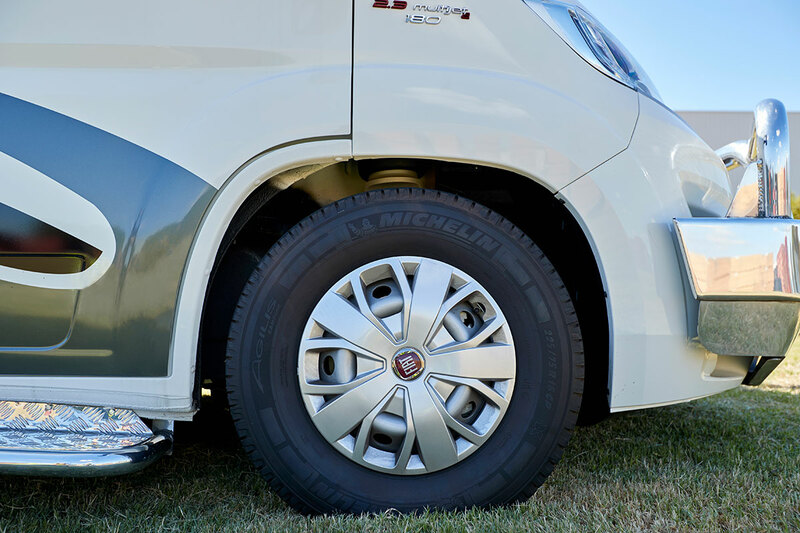 Handily, if you are in a lowered or raised height and start driving, the AL-KO Air Premium X4 Air Suspension will revert back to normal driving height once you pass 25km/h.